An is a petite girl in her twenties. 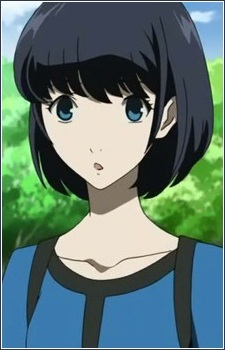 She has straight, dark blue hair that almost reaches her shoulders. She has bright blue eyes and a beautiful face. She has been seen wearing a black and blue dress with black leggings. When she was mourning "Eri Anzai"'s death, she wore a formal, completely black dress. Both dresses reach her knees. An Osada is Hisako Osada's daughter and murderer. She was the allegedly killed fourth member of Yonagahime 3+1.